Born in 1986. Lives in Kobe, Japan. 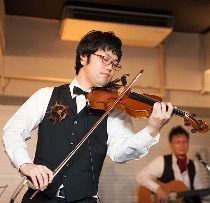 He started to play the violin in early childhood. When he was a university student, he met Arabic Music and got fascinated by that power, exquisiteness and beauty, then decided to play Arabic music. In 2012 and 2015, he went to Cairo/Egypt and learned how to play the Arabic violin from Abdo Dagher. 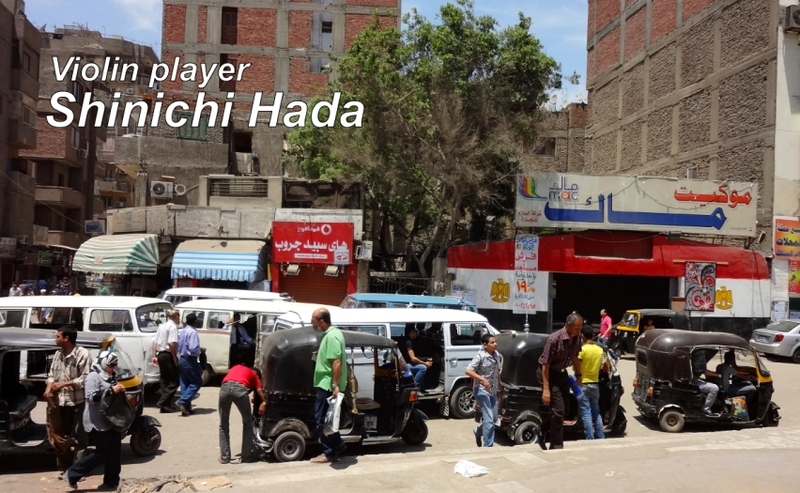 Now he's mainly playing Classical Arabic Music such as Oum Kalthoum and Mohamed Abdelwahab in various parts of Japan. And also he is performing with many oriental dancers from both Japan and abroad. He pursues Arabic Music. On the other hand, he's performing and recording with various artists. He's acting in order to make participants understand how interesting violin is, through the concerts and lesson.